I received an invite to CrowdFactory’s “Driving Social Media & Customer Acquisition Throughout the Customer Lifecycle” webinar yesterday with Jeremiah Owyang from Altimeter Group and Sanjay Dholakia, CEO of CrowdFactory and decided to liveblog it. Jeremiah has pioneered a lot of the social media thinking found in progressive companies today and his blog, Web Strategist, is known to senior business and agency marketing executives world-wide. I’ve been reading it for many years. This webinar addressed several key issues from a social engagement and commerce perspective and promised to share how marketers are using social media to engage customers and prospects across the entire lifecycle. With nearly 50% of consumers reporting that both search and social media influence purchases, Social Media and SEO are hot topics for most online marketing firms. But there’s a world of difference between the notions of social dominance, super-powered with search ubiquity and the ability to successfully implement – especially in large companies. One of the most common issues is that social media efforts themselves are often uncoordinated activities, let alone working in sync with search engine optimization. Additionally, many online marketing consultants are accustomed to Social Media or SEO projects for small and medium sized businesses, which is a very different thing than working with a large or complex organization. Being prepared to adapt independent and coordinated social media and SEO processes requires a unique combination of organizational finesse, adaptability and subject matter expertise. In the course of providing expertise and advice, I’ve really come to believe that it’s more important now than ever for Public Relations professionals to accelerate their knowledge of SEO and Social Media. 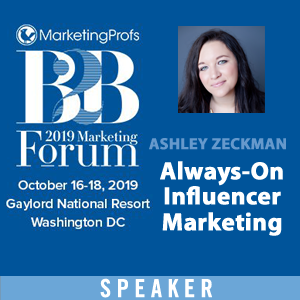 The storytelling business is a competitive one and great messaging isn’t realized until it connects with influencers and those in a position to propagate it. Both SEO and Social Media facilitate discovery of news and information, so PR pros can boost reach and impact by becoming Social SEO savvy. I recently had an interesting discussion with Ron Jones who is writing a book specifically on using keywords for online marketing called “Keyword Intelligence“. He was researching for the content marketing portion of the book and we talked about where keywords fit. These kinds of discussions are great for blog posts so here are a few ideas for you on keywords, SEO, Social Media and content. 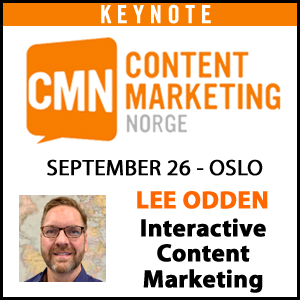 Content marketing is customer centric and therefore often focused not only on creating information to educate prospects and customers about product/service features and benefits, but also about topics of interest relevant to the situations that cause people to need or want those products and services. 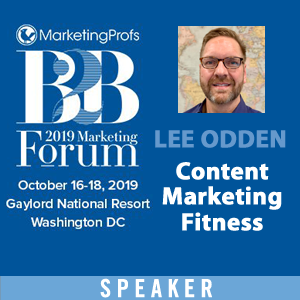 The “Smart Mobile Marketing” session was a panel discussion, moderated by TopRank CEO Lee Odden. To begin the discussion, Lee opened with a question for the room of 80+, “How many people in the room have developed a mobile version of a site?” 3-4 hands slowly raise. And with that, the stage is set: There is a lot of learning to do surrounding mobile marketing. The session panel consisted of 2 leaders and veterans of the mobile marketing industry, Deborah Hall and Michael J. O’Farrell. Hall founded web2mobile 3 years ago, frustrated with the user experience when trying to access a site via a smart phone. One of the greatest challenges she noticed was the upload speed, or lack thereof, of sites. WARNING: This post is based on a Marty Weintraub presentation. If you have seen Marty present, then you understand the warning and are probably smiling. For those of you who have not, just remember you were warned, although this text doesn’t do justice to Marty IRL. All kidding aside, Weintraub, CEO of aimClear, is a talented presenter that has a passion for his subject matter, Facebook. In “Killer Facebook Targeting Tactics” at SES Toronto, Weintraub focused primarily on behavioral targeting. You know, identifying the behavior of your ideal audience and target/market accordingly. Sounds simple until you consider the millions of ways a marketer can slice and dice audience segments in Facebook. Facebook marketing is a big topic and this presentation was specifically focused on Facebook ad targeting. Really, truly understanding the competitive landscape can help pave the way for a successful search engine marketing program. 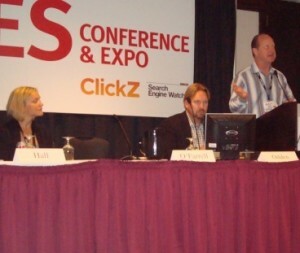 Chris Boggs led a panel discussion at SES Toronto on Competitive Analysis – What tips and tools can get you the vital competitive information that every SEO needs. According to Boggs, “Competitive analysis is one of the most exciting and important tactics (SEOs) can do. The session was segmented into 3 areas of focus: on site research,off site research and PPC research. 1) Asking yourself, “what companies should I look at?” Compete.com can come in handy here. 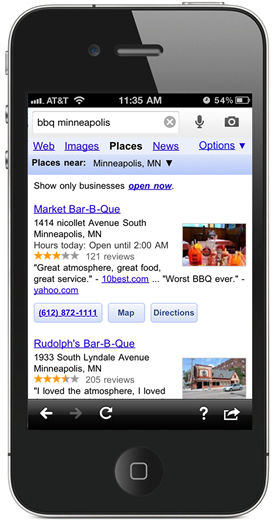 Enter a handful of competitors and look for companies with high traffic. These are the companies that will likely have characteristics that will help inform your SEO approach. SES Toronto: SEO is Dead. No it’s Not. Moderated by Jonathen Allen, the SEO is Dead. Long live SEO! 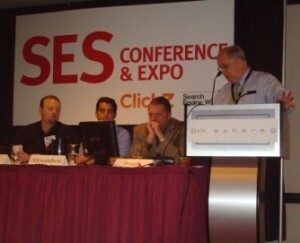 session included a number of “salty dog” SEO experts: Terry Van Horne, Jim Hedger and Garry Pryzklenk. Essentially, the key questions discussed in this panel centered around what is it that we’re doing as marketers that could be considered as SEO vs. Marketing. Other topics included: Google +1, personalization, evolving nature of SERPs, “Trust Rank”, analytics and other technical aspects of SEO were discussed. Moderator: What does search engine optimization mean anymore? The thing about SEO is that there are many technical considerations. What ranking factors still matter? Should we still be considering tags, H1, Titles, etc. Terry: Title tags are one of the biggest factors. In my preview post for SES Toronto, I counted John Alexander’s Keyword Forensics session as one of my “Must See” presentations for the 2011 conference. The promise of really digging down into keyword discovery and keyword analysis techniques sounded far too good to pass up. After all, keyword research is an essential part of any SEO process. I research keywords! What am I missing? 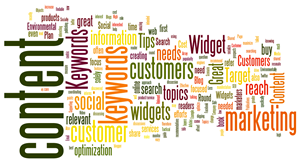 Keyword Research: Researching identified keywords to determine which phrases will provide the most search traffic. Last year I created a list of 25 Women That Rock Social Media for 2010 which was well received and appreciated. Most of the women listed I’ve come to know through involvement in the Public Relations and Search Marketing industries and also through blogging. For 2011 I decided to create a similar list based almost entirely on recommendations from the 2010 participants. 18 of the original 25 responded, providing over 60 recommendations. Filtering and sorting that list of 60+ down to 25 was excruciating. Those with multiple nominations took priority and other social participation factors and social media work were considered. I also made it a requirement that each nominator would have at least one person they recommended included in this final list of 25.